Jacqueline R. Walorski /wəˈlɔːrski/ (born August 13, 1963) is an American politician who has been the U.S. Representative for Indiana's 2nd congressional district since 2013. She is a member of the Republican Party, and she was a member of the Indiana House of Representatives, representing Indiana's 21st district, from 2005 to 2010. In 2010, Walorski won the Republican nomination for Indiana's 2nd congressional district, but lost in the general election to Democratic incumbent Joe Donnelly. In 2012, Walorski went on to win the open seat. Born in South Bend, Indiana on August 13, 1963, Walorski grew up with her two older brothers in the city's Gilmer Park neighborhood. Her mother, Martha C. (née Martin), worked as a meat cutter at a local grocery store, and her father, Raymond B. Walorski, worked as a firefighter and owned an appliance store. She has Polish and German ancestry. As a child, she attended Hay Elementary School and graduated from Riley High School in 1981. She then attended Liberty Baptist College from 1981–83, and graduated from Taylor University, receiving her B.A. in Communications and Public Administration in 1985. Walorski began her career as a television reporter for WSBT-TV, a CBS affiliate in South Bend, from 1985 to 1989, and was the executive director of the St. Joseph County Humane Society from 1989-91. Walorski was appointed as the director of institutional advancement at Ancilla College in 1991, a position she held until she was appointed as the director of membership at the St. Joseph County Chamber of Commerce in 1996. She later worked as the director of annual giving at Indiana University South Bend from 1997-99. Walorski moved to Romania in 2000 and founded Impact International, a foundation to provide medical supplies and attention to impoverished children. Walorski did Christian missionary work in Romania before returning to the U.S. in 2004. In 2004, Walorski ran for a seat in the Indiana House of Representatives after incumbent Republican State Representative Richard Mangus of decided to retire. She ran for Indiana's 21st District, a district which represented the suburban area between South Bend and Elkhart. Walorski defeated Democrat Carl H. Kaser 64%–36%. In 2006, she won a second term with 53% of the vote. In 2008, she won a third term unopposed. During her tenure in the Indiana House, Walorski was a sponsor of Indiana's Voter ID law, requiring voters to present Government issued identification during in person voting. The Voter ID law led to many lawsuits and was brought before the Supreme Court, where the law was upheld in Crawford v. Marion County Election Board, and is cited as helping the expansion of Voter ID laws in other states. Walorski has been criticized for missing a committee vote and the opportunity for stopping the Daylight Saving Time bill from passing out of committee, even though that bill died on the House floor. After a different bill passed introducing DST, she authored and introduced a bill to rescind DST, a measure that ended up dying. Walorski authored legislation combating identity theft, including in 2006 when she sponsored a bill requiring companies to notify customers who are Indiana residents, of any security breaches that could cause identity theft, identity deception or fraud, and making it a Class C felony and imposing a $50,000 fine on anyone who has the identities of over 100 persons. With Walorski saying that "Identity theft is the most rapidly growing crime in the United States. We need to find a solution to this problem before it gets any bigger in Indiana." Walorski became active in the caucus and was appointed as Assistant Floor Leader. She served on the Family, Children, & Human Affairs and the Public Policy committees. On January 31, 2009, Walorski formally announced her bid to challenge incumbent Democratic U.S. Congressman Joe Donnelly in Indiana's 2nd congressional district. Walorski won the Republican primary on May 4, 2010 with 61% of the votes, defeating opponents Martin Dolan, Jack Jordan, and Tony Zirkle. She was defeated, 48%–47% on November 2, 2010 by Donnelly. Incumbent Democratic Congressman Joe Donnelly decided not to seek re-election, opting instead to run for the U.S. Senate. Walorski ran against Libertarian candidate Joe Ruiz of Mishawaka and Democratic candidate Brendan Mullen of Granger, an Iraq War veteran. On May 8, 2012, Walorski easily won the primary election with 73% of the vote, winning all 10 counties in the 2nd District. Many articles have been written about Walorski's role as a woman running for Congress. Walorski defeated Mullen 49%–48%. She took office on January 3, 2013. At the same time, Donnelly was elected to the Senate. Walorski has received endorsements from the National Federation of Small Business and the U.S. and Indiana Chambers of Commerce. Walorski voted to repeal the Affordable Care Act, also known as Obamacare. In 2015, Walorski rejected the Pain Capable Unborn Child Protection Act, a bill banning Late termination of pregnancy, an abortion procedure given beyond 20 weeks into a pregnancy. In 2013, Walorski had said she would support a ban on late-term abortions. Walorski has a 63 percent rating from Heritage Action for America based on her conservative voting record. Walorski has a 69 percent rating from the National Association of Police Organizations for her voting record regarding legislature of importance to police. On May 25, 2018, Walorski introduced legislation to double the death gratuity paid to the families of service members killed on active duty. The legislation would increase the current death gratuity of $100,000 to $200,000. Under the bill, at least 60% of the benefit would be paid to the surviving spouse. Service members could choose how the remaining 40 percent would be disbursed. The bill would also cap death benefits for members of Congress at $74,000. This would result in a payment of about $100,000 less than what would be paid under the current system. Walorski supports expanded gas and oil exploration in the United States and offshore energy production. While serving in the Indiana House of Representatives, Walorski received a "A" rating from the National Rifle Association for her gun-related voting record. Walorski opposes restrictions on gun purchases and any restrictions related to the Second Amendment. Walorski favors repealing and replacing the Affordable Care Act ("Obamacare"). She supports market-based health insurance. in 2017, Walorski introduced a bill to suspend the medical device tax imposed under Obamacare for five years. Walorski stated that she hopes to eventually kill the tax altogether. Walorski supports a balanced budget amendment to the US constitution. In addition to being a strong supporter of a balanced budget amendment, Walorski has advocated privatizing Social Security. In March 2010 she said, "I think the one thing we have to do is the thing that Bush actually tried to do a couple years ago, which is privatize Social Security and allow people to invest in their own retirement." Walorski supports a single-rate tax system, an end to the estate tax, and a radical simplification of the tax code. Walorski voted in favor of the Tax Cuts and Jobs Act of 2017. In a statement released on May 31, 2018, Walorski announced her opposition to tariffs on goods imported from American allies. She said that such duties threaten American businesses and workers. Tariffs announced the same day by the Trump administration were the impetus for her statement. These include a 25-percent tariff on steel and a 10-percent tariff on aluminum. Walorski also asked that system for granting exclusions for certain kinds of products be accelerated. Walorski and 15 other members of House Committee on Ways and Means also addressed a letter to Commerce Secretary Wilbur Ross asking that companies that successfully apply for exclusion receive rebates on tariffs already paid while their applications were pending; President Trump signed an executive order to ensure such refunds take place. Walorski opposes abortion. She opposes federal and state money from funding abortion and churches providing birth control. She supports efforts to notify parents or guardians when a minor has an abortion. In October 2017, Walorski asked the Indiana State Department of Health to deny an application to open an abortion clinic in South Bend. Walorski said the clinic would undermine efforts to reduce the number of abortions in the area. Walorski has a "D" rating from NORML for her voting history regarding cannabis-related causes. Walorski opposes veterans having access to medical marijuana if recommended by their Veterans Health Administration doctor and if it is legal for medicinal purposes in their state of residence. Walorski supported President Donald Trump's 2017 executive order to impose a temporary ban on entry to the U.S. to citizens of seven Muslim-majority countries. She believes that it "will allow our national security officials to examine the vetting process and strengthen safeguards to prevent terrorists from entering our homeland." In 1995, Walorski married her husband, Dean Swihart, a schoolteacher in Mishawaka. She resides in Jimtown, an unincorporated suburban community west of Elkhart, and is a member of South Gate Church, an Assemblies of God megachurch in South Bend. ^ "Candidates :Jackie Walorski". The Washington Times. Archived from the original on 2013-02-09. Retrieved 2016-11-11. ^ a b James Brosher (September 16, 2012). "Candidates stress their roots: Jackie Walorski". southbendtribune.com. ^ Consolidated Funeral Services. "Raymond B. Walorski Obituary – Palmer Funeral Homes". ^ a b c Izadi, Elahe (November 1, 2012). "Indiana, 2nd House District". Nationaljournal.com. Archived from the original on March 23, 2014. Retrieved May 2, 2018 – via Internet Archive. 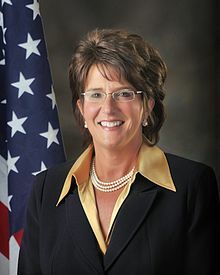 ^ a b "Representative Jackie Walorski's Biography". votesmart.org. March 10, 2013. ^ "Bakersfield Advocacy Greater Bakersfield Chamber of Commerce Representing the Interests of Business with Government". Bakersfield Advocacy. March 10, 2013. Archived from the original on April 14, 2013. ^ "Jackie Walorski (R)". Wall Street Journal. March 10, 2013. Archived from the original on June 15, 2015. Retrieved May 2, 2018 – via Internet Archive. ^ Brian A. Howey (March 16, 2006). "HOWEY Political Report: GOP's Finest Hour? Walorski's world travels brought her to the precipice of change" (PDF). in.gov. ^ "Our Campaigns – IN State House 021 Race – November 2, 2004". Ourcampaigns.com. Retrieved 2016-11-11. ^ "Our Campaigns – IN State House 021 Race – November 7, 2006". Ourcampaigns.com. Retrieved 2016-11-11. ^ "Our Campaigns – IN State House 021 Race – November 4, 2008". Ourcampaigns.com. Retrieved 2016-11-11. ^ Joan Biskupic (January 6, 2008). "Voter ID case could affect election laws". usatoday.com. ^ James Wensits (May 31, 2006). "New identity theft law to take effect July 1 in Indiana". southbendtribune.com. ^ "Legislation Would Require Companies to Notify Customers of Security Breaches". insideindianabusiness.com. January 4, 2006. Archived from the original on December 13, 2013. ^ "Membership". Republican Study Committee. Archived from the original on March 28, 2018. Retrieved May 2, 2018 – via Internet Archive. ^ "Election results". Archived from the original on July 22, 2011. Retrieved May 5, 2010. ^ "State Rep. Jackie Walorski wins 2nd Congressional district GOP primary". Wndu.com. Archived from the original on 2012-09-18. Retrieved 2010-08-23. ^ 2010 Election Results, CNN.com; accessed November 9, 2016. ^ "Elkhart County Fares Well in Redistricting Changes". The Elkhart Truth. Archived from the original on July 30, 2012. Retrieved November 9, 2016. ^ Michael D. Shear (May 9, 2011). "Donnelly to Run for Senate in Indiana". New York Times. Retrieved August 3, 2011. ^ "Joe Ruiz for Congress". ^ "News From The Associated Press". ap.org. Retrieved November 9, 2016. ^ "Brian Howey: Brooks and Walorski take aim at GOP glass ceiling". howeypolitics.com. Retrieved November 9, 2016. ^ "2012 election result report from Politico". POLITICO. Retrieved November 9, 2016. ^ Wald, Matthew L. (November 6, 2012). "Democrat Wins Race for Senate in Indiana". nytimes.com. Retrieved January 3, 2012. ^ "Walorski, Upton vote to repeal health care law". SouthBendTribune. May 17, 2013. ^ "GOP Congresswomen Get Cold Feet On Anti-Abortion Bill". Huffington Post. February 22, 2015. ^ "Walorski supports ban on late-term abortions". Huffington Post. June 20, 2013. ^ "Members of the Veterinary Medicine Caucus". Veterinary Medicine Caucus. Retrieved 12 October 2018. ^ "Heritage Action Scorecard". Heritage Action for America. Retrieved 27 December 2017. ^ "Jackie Walorski on Crime". On The Issues. Retrieved 27 December 2017. ^ "Walorski aims to create more generous military death benefits with new bill". Ripon Advance. United States. 31 May 2018. Retrieved 7 June 2018. ^ "Jackie Walorski on Energy & Oil". On The Issues. Retrieved 27 December 2017. ^ "Jackie Walorski on Gun Control". On The Issues. Retrieved 27 December 2017. ^ "Jackie Walorski on Health Care". On The Issues. Retrieved 27 December 2017. ^ "Walorski Introduces Bill to Provide Relief from Job-Killing Medical Device Tax". Congresswoman Jackie Walorski. United States House of Representatives. 12 December 2017. Retrieved 13 June 2018. ^ "Jackie Walorski on Budget & Economy". On The Issues. Retrieved 27 December 2017. ^ "- Elkhart Truth". etruth.com. August 8, 2012. Archived from the original on January 22, 2013. ^ "Jackie Walorski on Tax Reform". OnTheIssues. Jesse Gordon. 31 January 2017. Retrieved 13 June 2018. ^ Almukhtar, Sarah (19 December 2017). "How Each House Member Voted on the Tax Bill". The New York Times. Retrieved 27 December 2017. ^ "Walorski speaks out against steel, aluminum tariffs on allies". WNDU. United States. 31 May 2018. Retrieved 7 June 2018. ^ "Jackie Walorski on Abortion". On The Issues. Retrieved 27 December 2017. ^ "Walorski Asks State to Reject South Bend Abortion Clinic". US News. United States. 25 October 2017. Retrieved 6 June 2018. ^ "Indiana Scorecard". NORML. Retrieved 27 December 2017. ^ "Jackie Walorski on Civil Rights". On The Issues. Retrieved 27 December 2017. ^ Blake, Aaron. "Coffman, Gardner join Republicans against President Trump's travel ban; here's where the rest stand". Denver Post. Retrieved 30 January 2017. ^ "South Bend Southgate Church". Indianaag.org. 2013-04-21. Retrieved 2016-11-11. ^ "Klaus Iohannis a decorat opt congresmani americani cu Ordinul Steaua României în grad de Comandor". adevarul.ro (in Romanian). June 9, 2017. Retrieved April 29, 2018. ^ Peia, Florentina; Iacob, Simona (June 9, 2017). Purcarea, Vicentiu; Pandea, Razvan-Adrian (eds.). "President Iohannis and U.S. congressmen discuss Romania's inclusion in Visa Waiver programme". Agepres. Retrieved April 29, 2018. ^ "IN State House 021". ourcampaigns.com. Retrieved November 8, 2004. ^ "IN State House 021". ourcampaigns.com. Retrieved November 26, 2006. ^ "IN State House 021". ourcampaigns.com. Retrieved December 13, 2010. ^ "STATISTICS OF THE CONGRESSIONAL ELECTION OF NOVEMBER 2, 2010" (PDF). clerk.house.gov. Retrieved June 3, 2011. ^ a b c d "Election Results". in.gov. Retrieved November 28, 2012. Wikimedia Commons has media related to Jackie Walorski.